Turner Asphalt has a number of tools at our disposal to repair failing pavement. Two of these are milling and reclamation. They are both environmentally friendly and cost-efficient ways of giving a paved area new life. Do you have a project in the Carolinas, Georgia, Virginia, Tennessee or Florida that may benefit from these processes? Contact us or read on to learn more about what they entail. Milling is a great way to give some surfaces a fresh look and increased stability. Not every surface can be saved with this method, but if the underlying sub-grade is strong but the surface is showing signs of wear, the project is likely a candidate for milling. Turner Asphalt has a fleet of high-quality milling machines ready to be leased by the day and trained staff to operate them. This is another environmentally and budget-friendly way of reworking a paved surface. Reclamation is appropriate when not only the surface but also the base course has been compromised. The process does exactly what the name suggests — it reclaims the materials in the failed surface to reuse in setting down the new one. The asphalt and other materials are pulverized in specialized machinery and then mixed with other elements to harden them and turn it into the new base course. This is considered “green” because it recycles a lot of material and doesn’t require large trucks to haul in new materials and haul out old ones to the same degree. 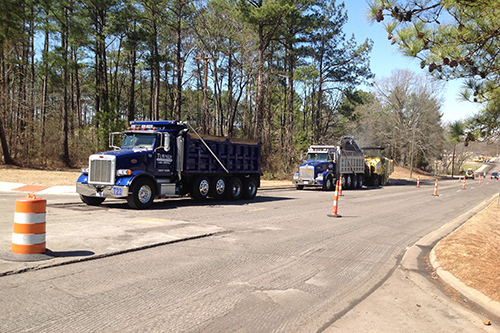 Of course, this also effectively lowers the overall cost of a resurfacing or paving project. Not sure if your project could take advantage of the milling or reclamation processes? You aren’t alone! 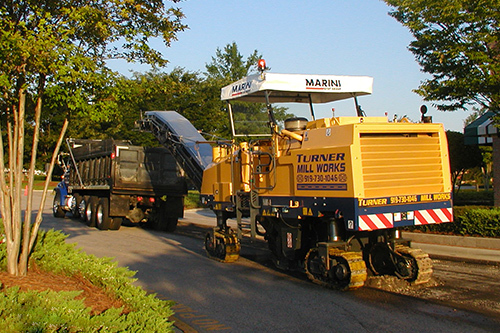 Contact Turner Asphalt today for more information on using milling or reclamation techniques on your project and our team of experts will happily help you answer the questions and provide a free quote, if desired. Call 877-887-6372.